Owning a business is a dream come true for many New Yorkers. While being your own boss offers some degree of freedom as well as many other benefits, there are also exorbitant costs. There are taxes, payroll and other costs, but one of the priciest expenses is insurance. Those with employees must protect them in the event of a workplace accident by purchasing workers’ compensation insurance. Depending on the number of employees and skill level, this can cost tens of thousands of dollars a year—even for small businesses. Fortunately, financial help is on the way. Businesses across New York are breathing a sigh of relief now that workers’ compensation costs are decreasing for the second year in the row. The New York Compensation Insurance Rating Board recommended a rate decrease of 4.5 percent, and the New York Department of Financial Services recently approved it. The reduced rates will take effect October 1. New York has one of the highest workers’ compensation rates in the country. It is currently ranked behind California, Connecticut and New Jersey. The 2018 budget includes these cost-saving measures, and the New York State Workers’ Compensation Board was in agreement. More workers’ compensation reforms are on the way, which means that employers are looking forward to saving even more money over the next few years. Gov. Andrew Cuomo is on board with these cost savings, which will hopefully make running a business much more affordable. This rate reduction alone offers huge savings. It is estimated that it will save New York businesses approximately $450 million. 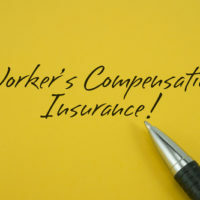 There are three main factors that determine how much money a company will pay for workers’ compensation premiums: the amount of payroll, employee classification and the company’s claims experience. The less payroll a company has, the less money it will pay. Classifications are determined by risk level. Those in dangerous industries such as construction pay more in workers’ compensation premiums because there is a higher risk of getting injured in an accident. The company pays a certain amount for every $100 of payroll. The company’s claims experience is also taken into consideration. This is called an experience modification factor. This factor is compared to similar companies within the same industry. The number is typically set at 1.00, and if a company has a low number of accidents, the number decreases. A lower number means lower premiums. Employers pay a significant amount of money to protect employees like you in the event of a workplace accident. Decreased premiums are great news for employers and employees alike because when companies save money, they can use it in other areas—like bonuses and other benefits for employees. If you were injured in the workplace, it’s important to follow the proper steps. Get help from the Law Office of Michael Lawrence Varon. He has experience handling a variety of workers’ compensation claims and is familiar with New York laws. Contact his office at 914-294-2145 to schedule a complimentary consultation.